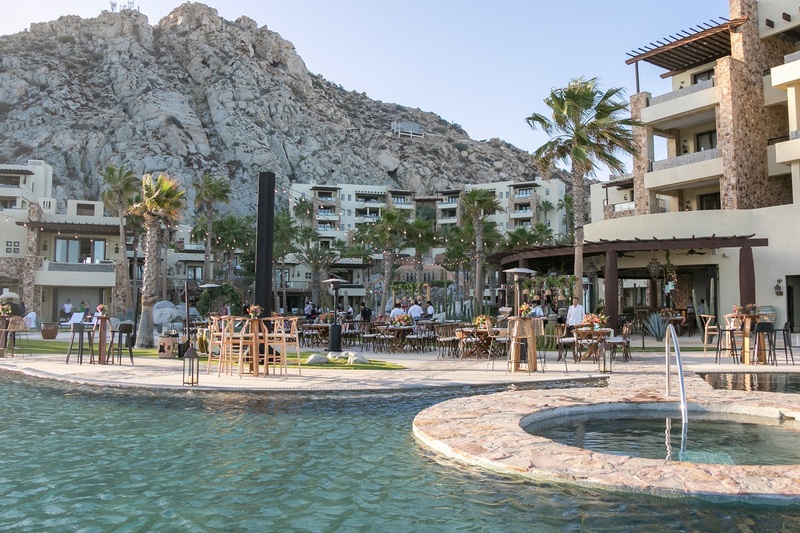 Guests attending this corporate event at The Resort at Pedregal were treated to a real Baja California Sur vibe! 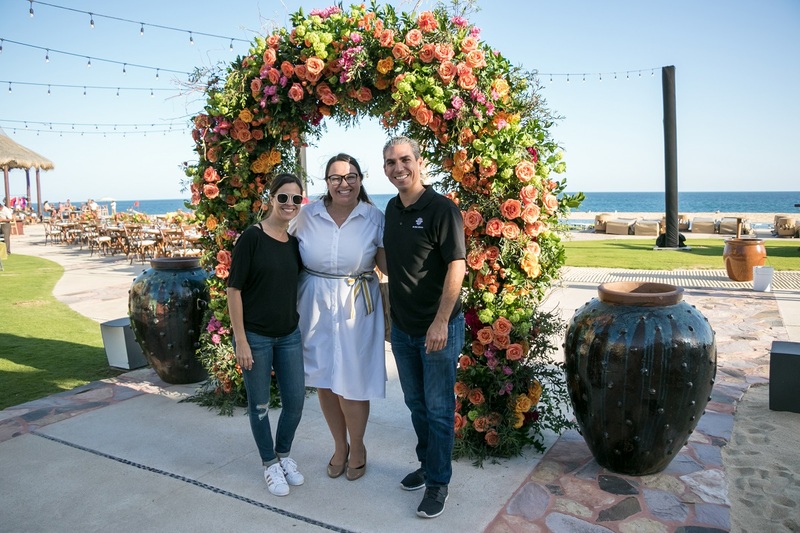 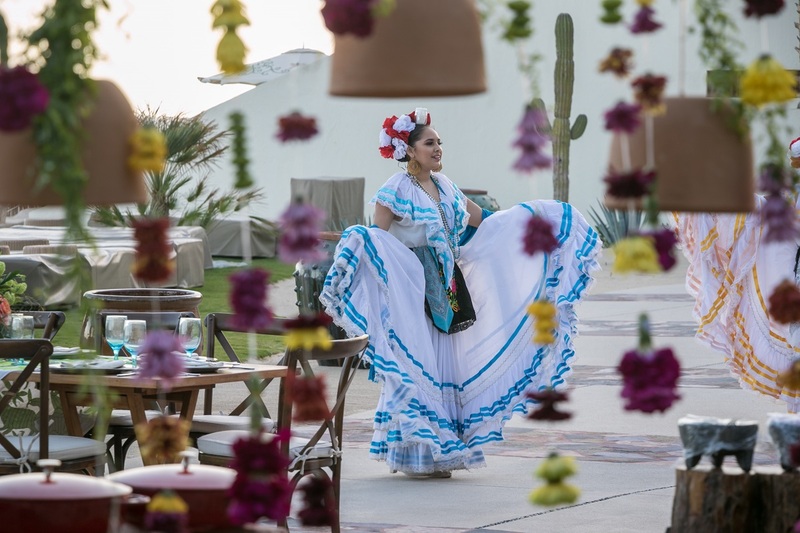 From the colorful florals used on the tables, hung over the dinner tables and food stations, to the large floral archway at the entrance, to the festive Folklorico dancers and local Mariachi band, it was a wonderful evening for all. 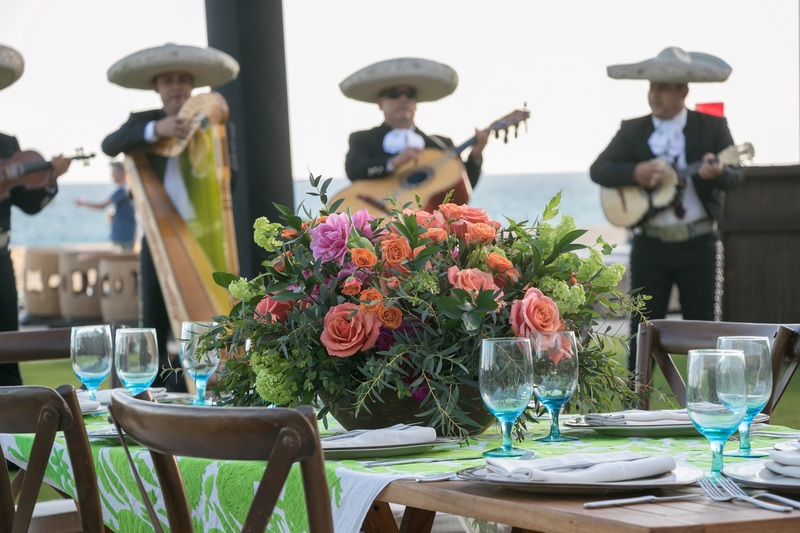 Certainly, the perfect fiesta to start off a week-long corporate celebration! 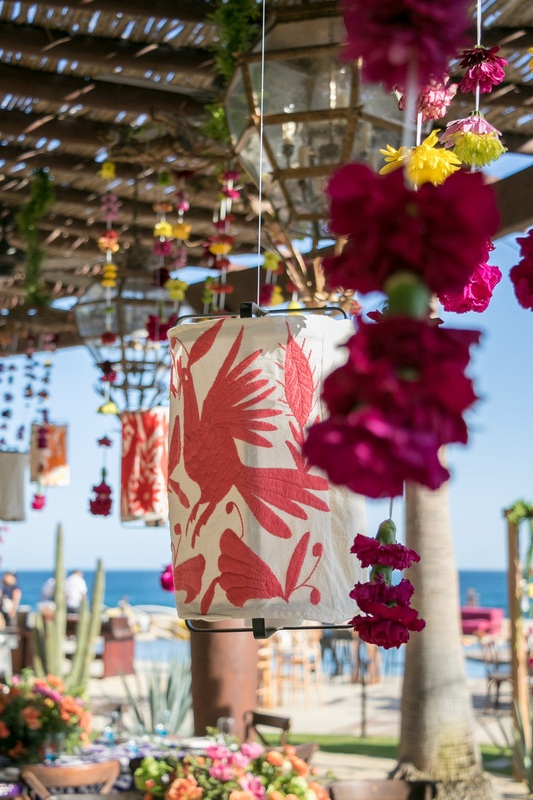 Our modern take on traditional Mexican textiles — fabricating our own Otomi lanterns! 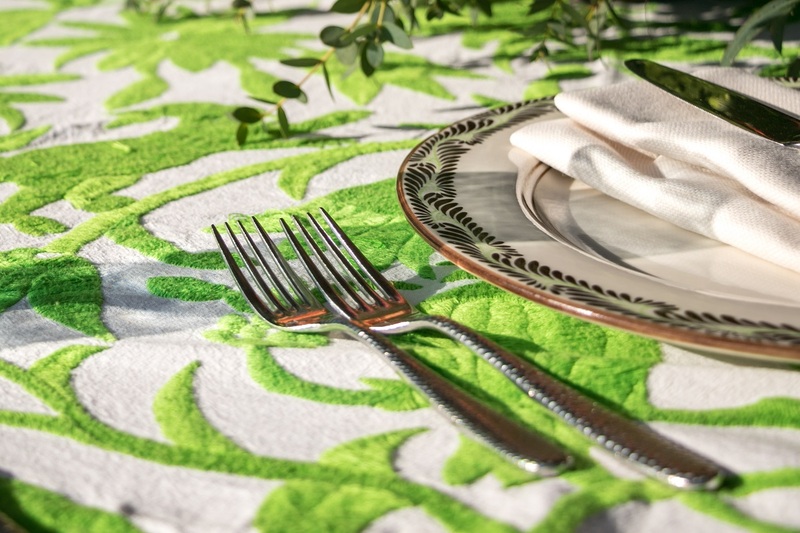 Bright and cheerful, these embroidered fabrics are created by the Otomi Indians from Tenango, Hidalgo. 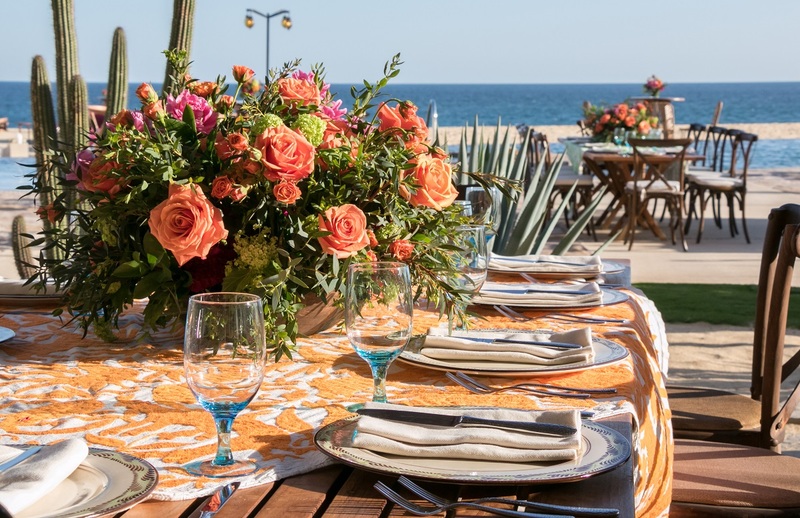 We love how stories are told through the patterns, colors, and textures in the old and new forms of this artistic Mexican craftwork. 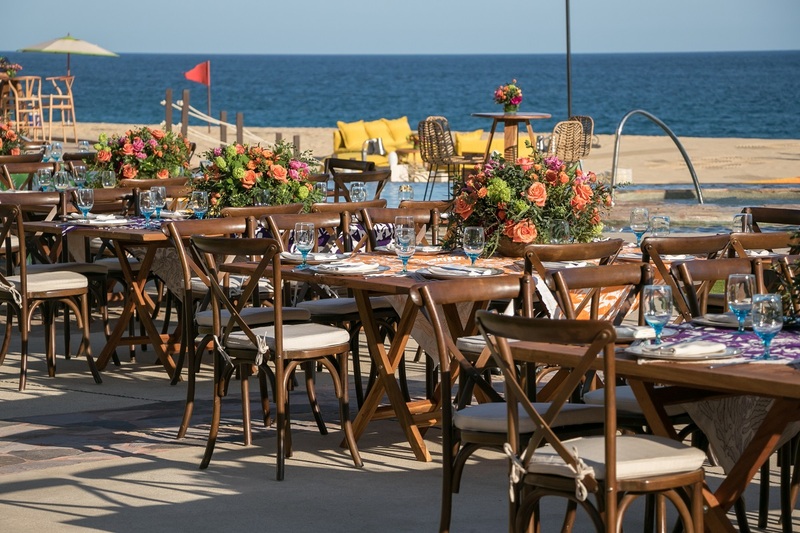 Whenever we can, like in this corporate dinner on the beach, we use the fabrics on tables, display, and food tables. 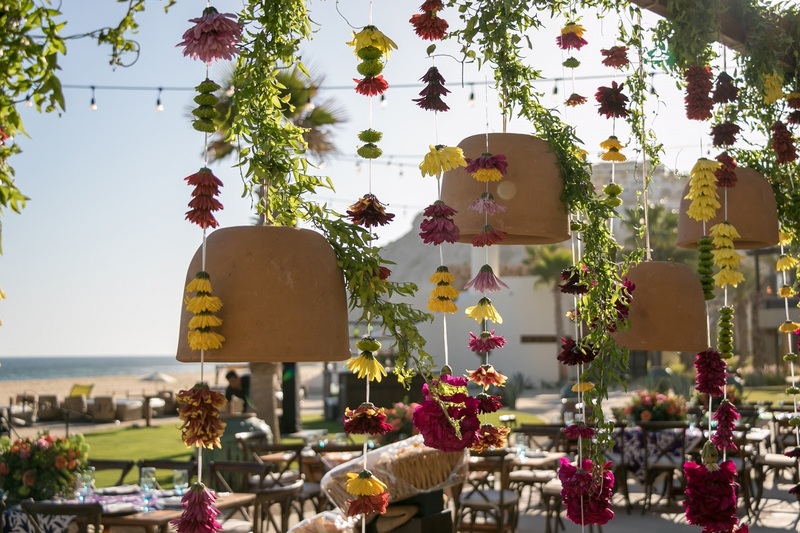 As well as in unexpected decor elements, like our hanging lanterns that you see here. 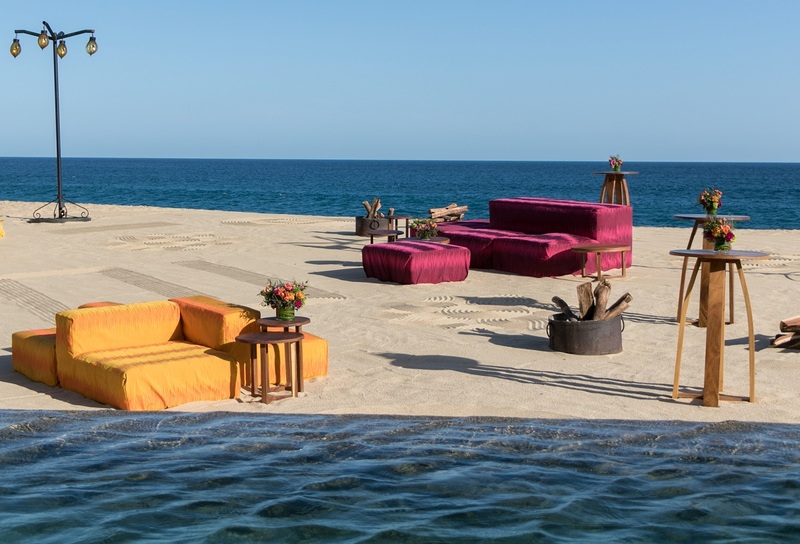 This beach party design also included lots of our own custom-designed lounge furniture! 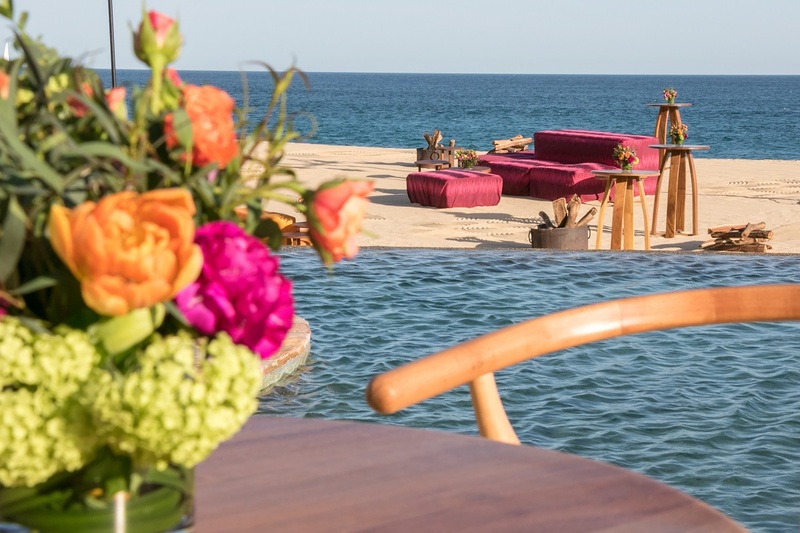 From our wooden cocktail and dinner tables to our contemporary woven bar stools, to our brightly-slipcovered lounge sofas and ottomans. 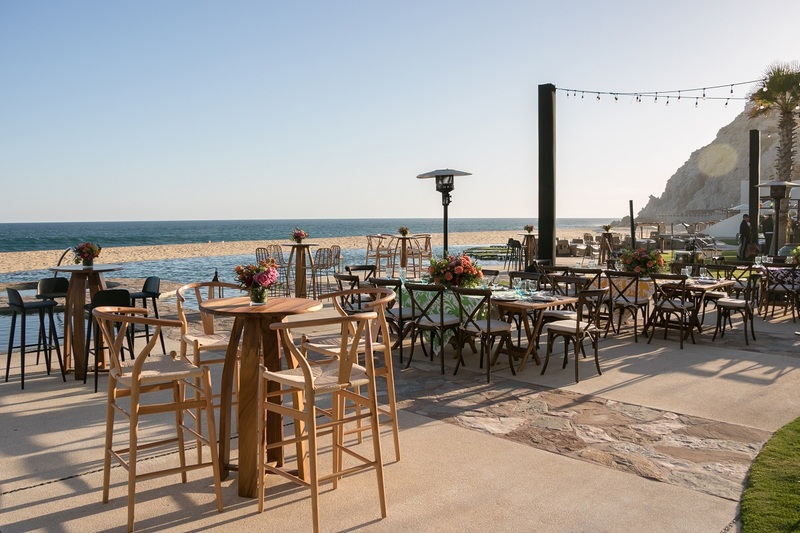 Plopped down on the beach, and positioned near firepits, cocktail bars, and high top tables, guests found comfortable places to experience the beach fiesta! 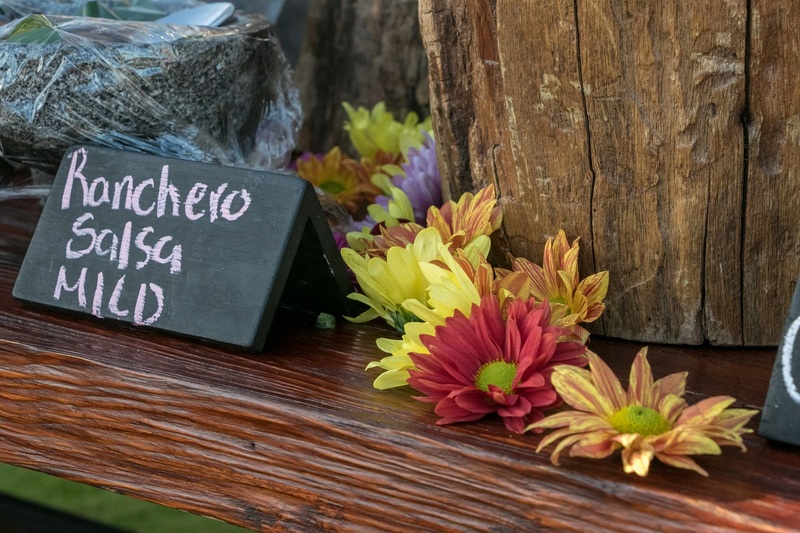 Even the food stations and cocktail bars were decorated for the fiesta corporate event. 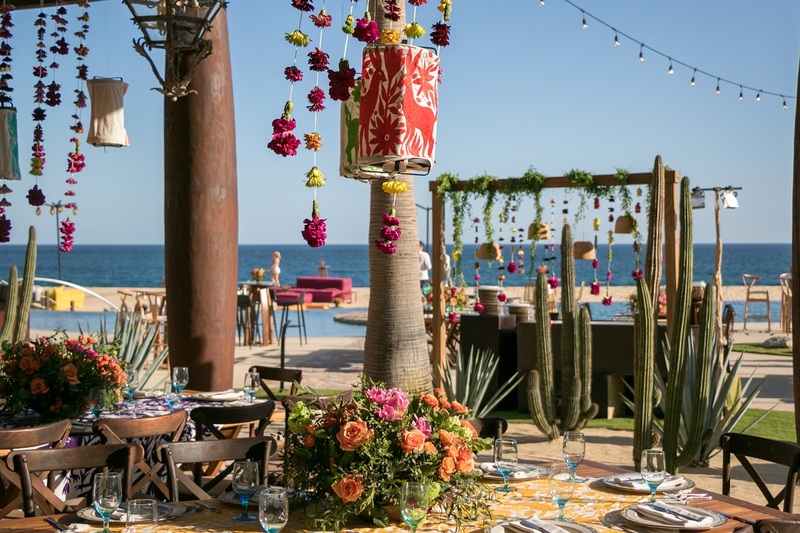 Strands of flower heads, vines, and beads were strung over food stations, along with our terracotta and Otomi lanterns. 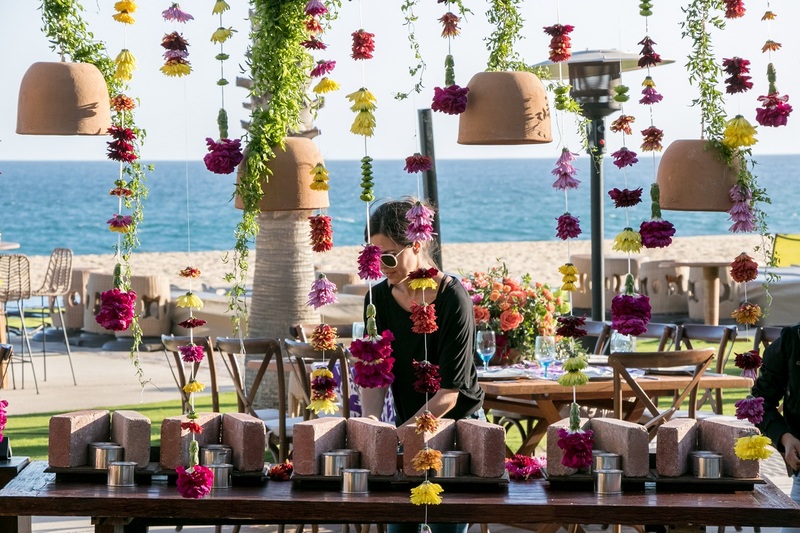 Additional flower heads were placed on the surface of the food stations. 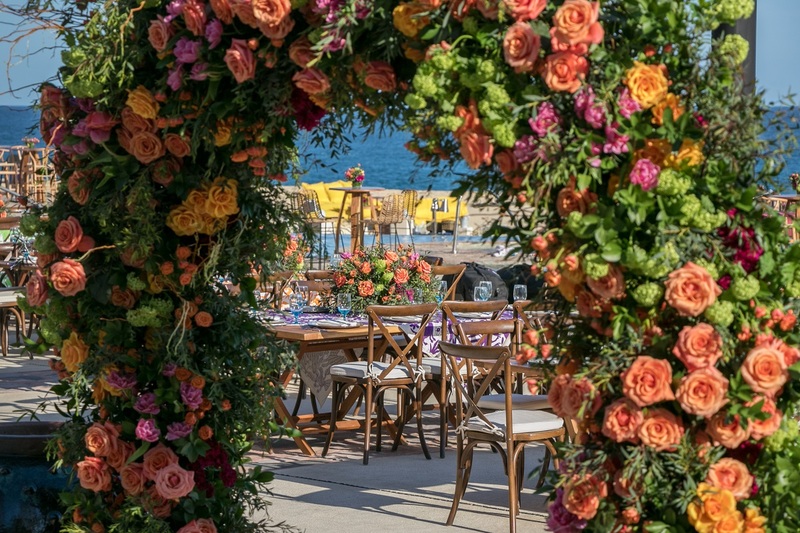 Each one of these decorative details ties back to the atmosphere in subtle ways for an overall festive experience.